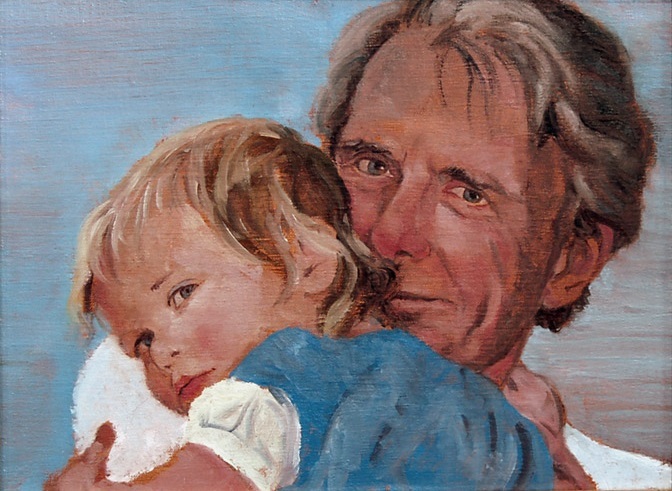 This is a quick study of my husband and his granddaughter Violet when she was small. I took the reference pictures as we walked on a desolate street in Bay City, MI. Violet was elated throughout the day, gratefully oblivious to a city on hard times. Only after her full day of running did she rest peacefully in grandpa's arms.